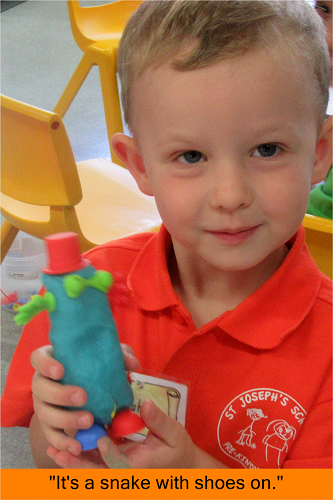 Children’s Liturgy sessions are held during the 8.00am Sunday Mass. Well, I don’t know about anyone else but I feel like this Term has flown by and it seems like only a couple of weeks ago that the year started with many new students sharing their first day with me. 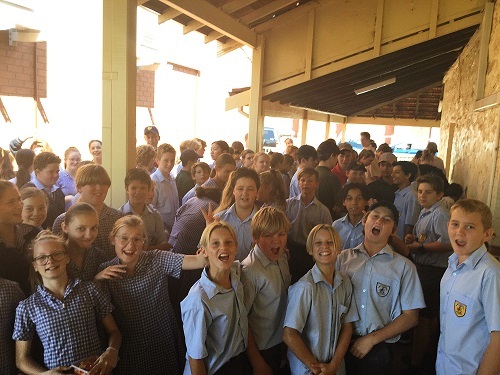 Today was an amazing day for the students of St Joseph’s School! 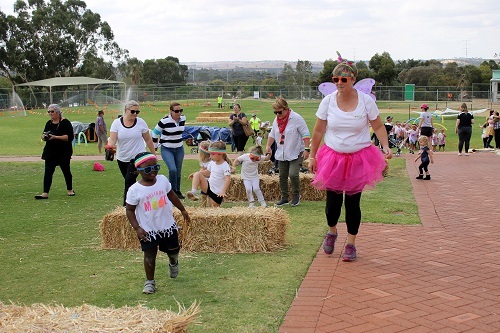 The P&F and their enormous band of helpers worked tirelessly all day to create an incredible fun experience for our children. 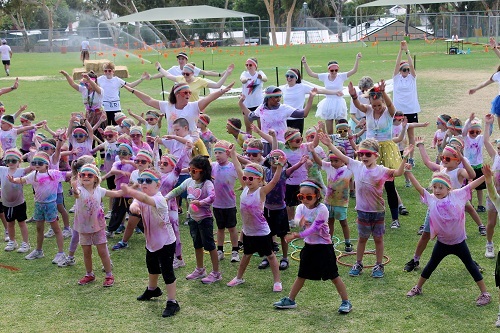 It was lovely to see the whole School come together for such a fun event. A huge amount of money has been raised but a final total cannot be given until the cash donations have been sent into School and counted. There are too many people involved to mention individually but on behalf of all of the students, I would like to say a huge thank you to everyone who gave up their time today to make this event such a success. This week saw us take possession of the new classrooms. 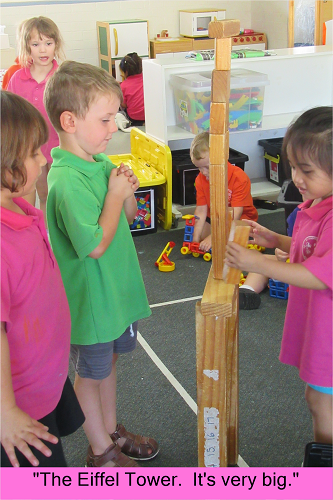 It was very exciting for the Pre Primary classes as they moved all of their furniture into their new rooms and the Year 2 children took over the classrooms vacated by the Pre Primary classes. The last of the painting and landscaping will occur over the holidays. This was the last week that Secondary students and staff were able to order the delicious Butter Chicken from Avon Spice. We thank Mr Selvam and the staff of Avon Spice for providing such abreast lunch option for the last couple of years. A testament to the popularity of the Butter Chicken can be seen in the photo as yesterday 90 people ordered for the last time. As of next term, The Hill catering company will be providing lunch options on a Tuesday and Thursday. Congratulations to our newly elected Student Leaders in Year 7 - Tristen Candeloro and Jasmin Woods. I am sure they will make a wonderful addition to our Student Leaders’ team. As we prepare for the end of Term 1, parents and caregivers are reminded that students are to wear their correct winter uniform as from the start of Term 2. For those wishing to prepare, why not miss the late rush and purchase winter items from our Uniform Shop this term? We have made some minor modifications to our Student Personal Presentation Policy so that it is now gender neutral. This is to keep our Policy in line with the Anti-Discrimination Act. These changes will come into effect from Monday 29 April - the start of Term 2. The new Policy is available on the School website. To those families leaving us as they move to a new town, we wish you well and hope that you look back at your time at St Joseph’s School with fond memories. I would like to wish you all a very happy holiday and hope that at this Holiest of times you are able to spend some quality time with your loved ones. 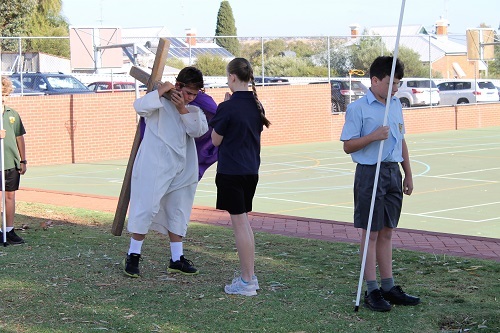 This week, across both Campuses, students reverently participated in Stations of the Cross. 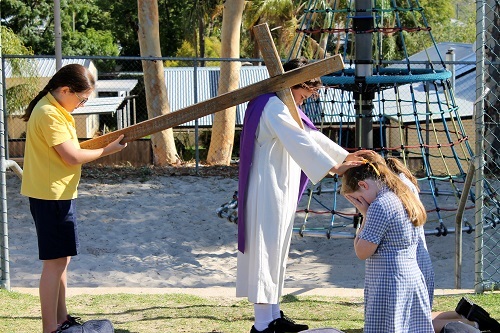 At Primary, we walked around the School grounds re-enacting the Stations and listening to the Readings. 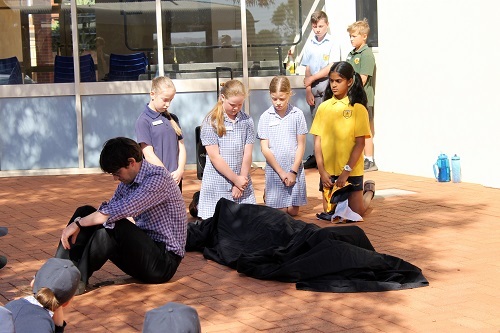 The Secondary students were taken through the Stations of the Cross in St Joseph's Church. Nguyet is a teenager living with a disability in a small town in Vietnam. Living with a disability was challenging, her early years were subdued and solitary. Since featuring in Project Compassion 2017, Nguyet has successfully built her own business, a dream that has become a reality with the support of Caritas Australia. Connected to the world in new ways, Nguyet has become independent, an important member of her community and has great hope for her future. Please donate to Project Compassion 2019 and give children living with disabilities in Vietnam the opportunity for an education and inclusion in their community. Lives change when we all give 100%. St Joseph’s Parish invites all members of the School community to share in two events that are happening soon. 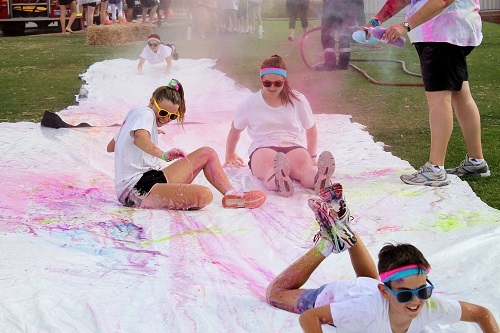 On Saturday 27 April, the 2019 Parish Fete will be in full swing with free entry from 8.00am to 1.00pm. There will be a variety of stalls inside and out of the PB Kirby Parish Hall with a sausage sizzle, cake stall, raffles and food to purchase. The Parish is unning a competition for the Best Dressed Doll (for children up to 8 years of age) and the Best Dressed Bike (for children up to 12 years of age). Come along and join in the fun of the day! The Parish will be holding their annual Mother’s Day Family Night on Saturday 11 May from 7.00pm to midnight. Tickets for this event are $20.00 a family or $10.00 per person. There will be door prizes, raffles, complimentary tea/coffee and our local band, Bedrock, will be providing the music for the evening. BYO supper and drinks. Feedback from the Family Night in 2018 was that everyone had a great time! To book your tickets, please call the Parish Office on 9622 5411, Claire on 0407086156 or Dave on 0439930339. Student’s Test Books were due back this week. If you have not had a chance to look through your child’s Test Book and sign the page, please do so over the holidays and return them in Week 1 of Term 2. Following on from the success of the Literacy Workshop that was held last year, St Joseph’s Primary Numeracy Team will run a Parent Numeracy Workshop on Tuesday 14 May. This workshop will focus on myths and facts about numeracy, how to assist your child with mathematics at home and a brief overview of the programs that are used in the classroom. As Term 1 draws to a close, I would like to thank all the staff, parents and students for a very productive term. I wish everyone a safe, relaxing and enjoyable Easter and holiday break. Wow, what a busy term we have had! We compared our families to Jesus’ family and found out all the special things about ourselves and our bodies. 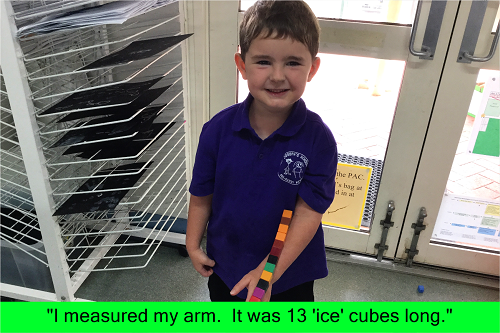 We also measured parts of our bodies using blocks. 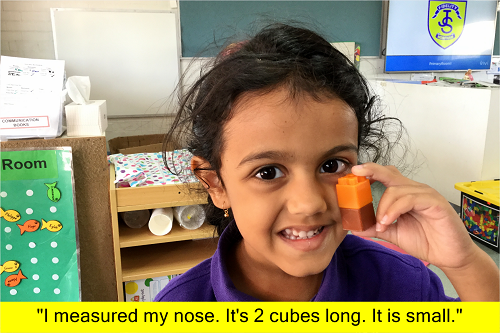 We’ve had lots of fun exploring our five senses. 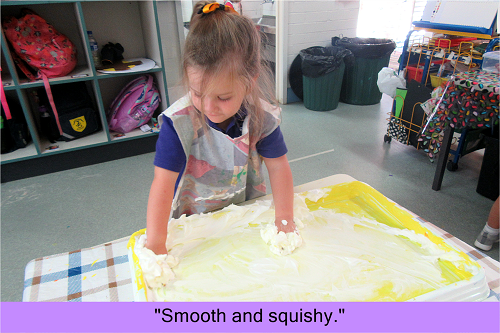 We had to guess some smells and we made textures in the playdough using all sorts of things such as lids and gumboots. We especially loved the feel of the shaving foam. We are getting clever at learning some of our sounds. We enjoy counting the syllables in words and have been practising hearing and blending sounds to make words. We’ve done lots of counting, but we have to keep reminding Mrs Elfverson to put things in a line when you count because then you only count things once. When counting us, sometimes we have to tell her she needs to make sure she counts everyone. 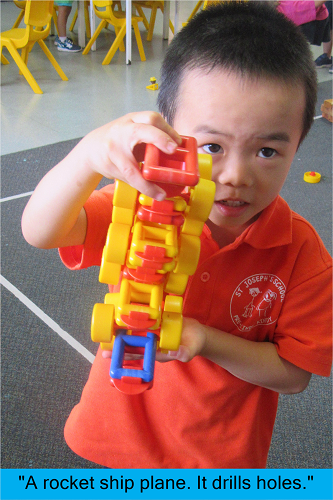 Term 1 has been so much fun. We wonder what we can teach Mrs Elfverson next term? 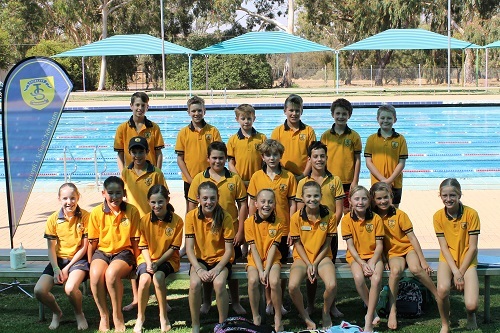 After having to cancel the first attempt at the Carnival due to thunderstorms, we were greeted with perfect weather for our rescheduled NSSA Swimming Carnival. 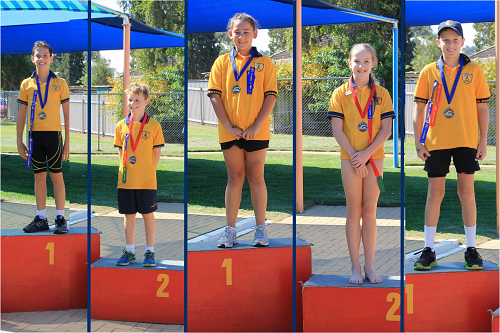 Sportsmanship and effort by all students was fantastic as Northam Primary, Avonvale/West Northam and St Joseph’s Schools competed. Thank you to all the parents who assisted with officiating and a big thanks to the Northam Swimming Club members who gave up their time and equipment for us! Thank you to all students who participated and especially those who swam for the other schools to fill their relay teams! You should be very proud of your efforts! 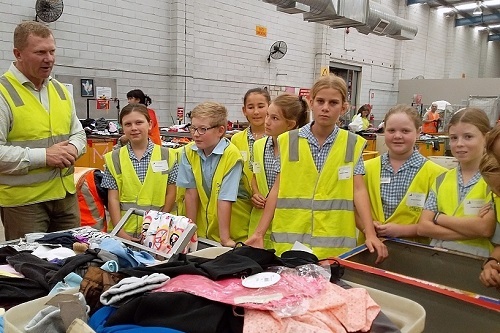 The Year 6 class went on excursion on Tuesday 9 April to two interesting destinations, the Good Samaritan Industries and the South Metro Regional Resource Recovery Centre. At the Good Samaritans we learned that the main aims of the industry are to employ people with disabilities and to recycle clothing. They manage to save thousands of tons of textiles from going to landfill. 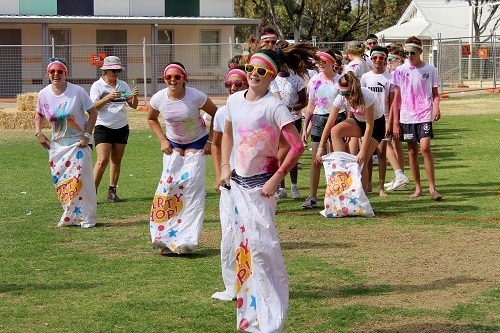 100% of their clothing donations are reused in Western Australia or sent overseas for use. They employ hundreds of people with disabilities and run 28 stores in Western Australia. At headquarters, we were shown through the sorting centre where not only clothing but toys and electrical items are recycled. It was an eye-opening experience. The Resource Recovery Centre in Canning Vale is where all the recycling from the Avon Valley is sent. We saw mountains of plastic, tins and paper products ready for recycling. A 20 million dollar machine sorts and packages the recyclables to be sent overseas for reuse. We also saw a giant spinning compost tumbler called the digester which breaks down green waste into compost which can then be used for farming and gardening. It was great to see recycling in action. Many thanks to staff and parent helpers who accompanied the Year 6 class on the day. It was an interesting day full of learning. I would like to thank our hard working staff and students for their efforts and work over the last Term. 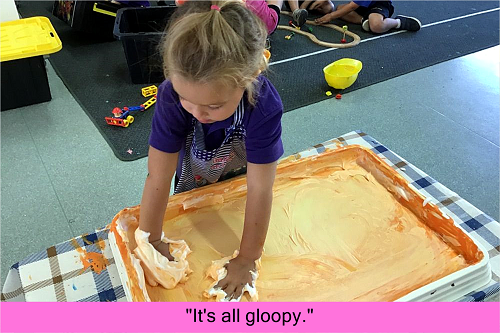 There have been so many different activities taking place on and off campus as well as the grounding Learning Areas classwork - we have all been kept very busy. Please take time to enjoy the holidays and return fresh and ready to resume the learning experience. Happy Easter to everyone! God Bless. 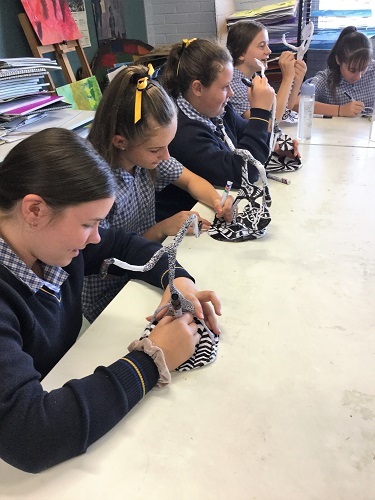 This term, the Year 7’s have been busy with the introduction to Portraiture and Contrast. All three groups completed design components firstly in use colour combinations and flow lines that create patterns. Year 8 students are all completing Still Life arrangements of various glass bottles. The focus is ‘chiaroscuro’, which means use of tone. 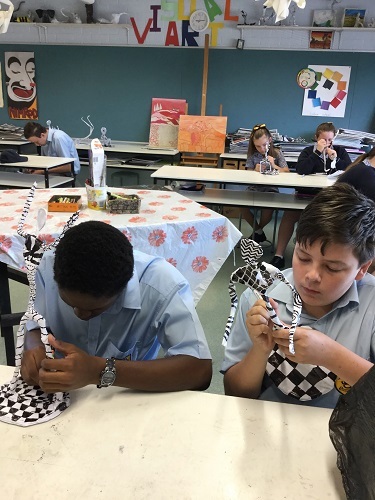 Our Year 9’s are completing Black and White patterns focussing on movement. The Figure sculptures were made by using wire and paper mache. Year 10's have been studying Landscape Form, completing a series of drawings and viewing work by Post Impression artists. Each student has but one colour to use and need to make ten shades from a base colour. 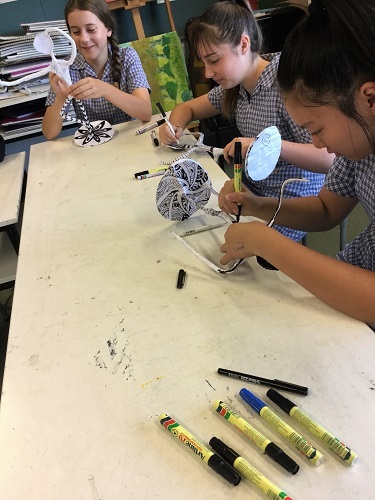 The Years 9 and 10 Drama classes have been working on creating scripts and skits which they performed for Year 2 and Year 7 students this week. This week also brought the great reveal for this year’s big drama production - "The Holy-Wood Tragedy"! This production will be performed at the Northam Town Hall at 6.30pm on Friday 1 November 2019. Students have received their scripts and are asked to read them during the holidays and may put forth their character preferences in Term 2, ready for auditions. Following auditions, rehearsals will commence in preparation for the big event. We are all looking forward to the show and the students are excited about what they will be putting into their roles for the performance. Please keep this date free to attend our show. This performance is suitable for all age groups. We look forward to seeing you all there and receiving your support throughout the year. I would like to say a huge thank you to Campbell Horsburgh and Jaidev Singh for their expertise, generosity and time in arranging the score for our Drama Production. Another big thanks goes to Mr Niall Oman and the Years 7 and 9 Woodwork students for creating our Drama props. 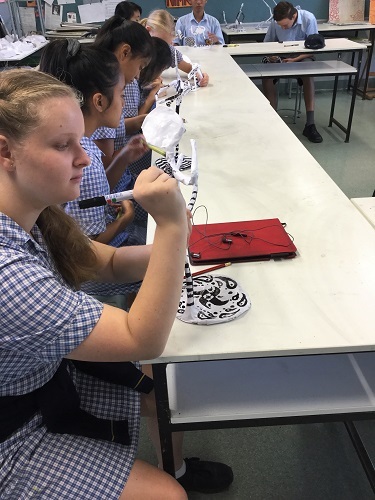 On Tuesday 2 April, our Years 7 and 8 teams, and then on Wednesday 3 April, our Years 9, 10 and 11 students participated in the annual da Vinci Decathlon academic interschool challenge held at the University of Western Australia (UWA). At the time of going to print for last week’s newsletter, we did not have the results but we are pleased to add this information this week and include some specific notable session highlights. 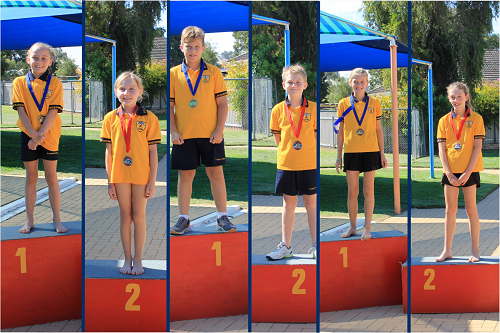 Year 7 - Lachlan Willmott, Lily Parker, Madison Longmire, Antoinette Matres, Braeden Lane, Liam Elliott, Grace Treloar and Jasmin Woods - 21st with 600 points. 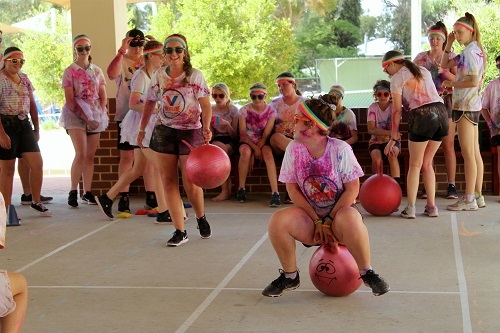 Year 8 - Meg Jezierski, Clayton de Wit, Caitlin van der Velde, Hannah Morrell, Isaac Rutter, Carmen Reynders, Stephanie Irvin and Abi Parker - 27th with 550 points. Year 9 - Sandra Gustak, Cody Peipi, Roy Delena, Chloe Corrigan, Adrian Gargano, Fred Ochtman, Kyran Reyes and Ashton Stewart - 26th with 500 points. 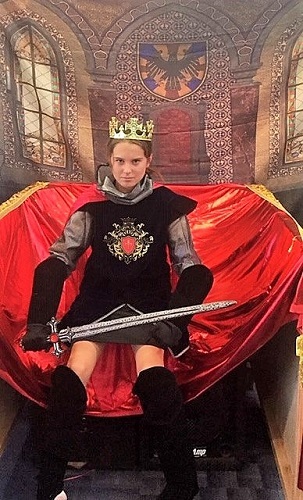 Year 10 - Georgia Stewart, Stephanie Gargano, Faith Whiteaker, Tyler Kilmurray, Tama Peipi, Cole Matjuszenko, Madison Stewart and Gemma Johnson - 13th with 1050 points (2nd in Mathematics, 6th in Art & Poetry, 7th in Engineering and 9th in Ideation). 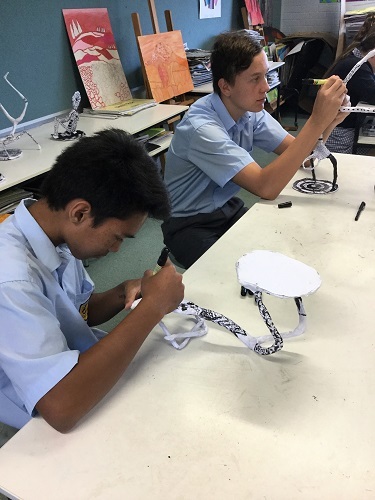 Year 11 - Audrey Carroll, Jelena Manuel, Isabelle Ochtman, Katie Harris, Francisco Nguyen, Dalena Reynders, Hannah Morrison and Lachlan Stewart - 10th with 1380 points (1st Cartography, 2nd Art & Poetry, 4th Ideation and 9th in Engineering, Science, English, Mathematics and Code breaking). Once again some very demanding questions across many tasks that pushed the students to the limits of their knowledge and skills. With up to 28 schools competing in a single year group in these da Vinci decathlon events, you have done yourselves and our School proud. Well done! 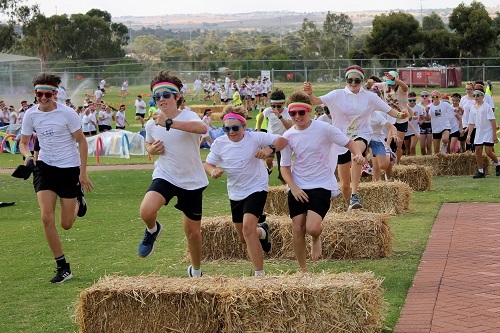 The P&F would like to thank our whole School community for the efforts put into fundraising for our big event of the year. 75% of the profit made will go to the P&F who are helping to supply some more shaded areas at both campuses. 25% of the profits will be donated to Caritas Australia and their Project Compassion Appeal. The grand total will be advised next term but already, early indicators are showing a magnificent total of $11,000.00! 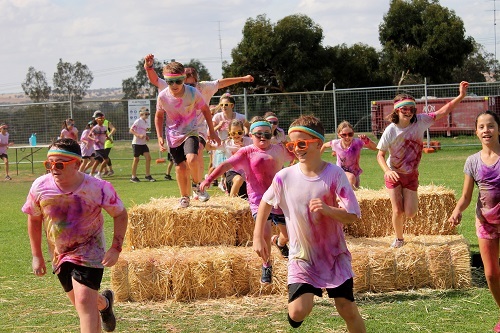 Thank you to the students who participated with such enthusiasm today - the Primary Oval was awash with colour, screams of delight and encouragement as staff and students rotated through the amazing round of obstacles set up for the Colour Run. 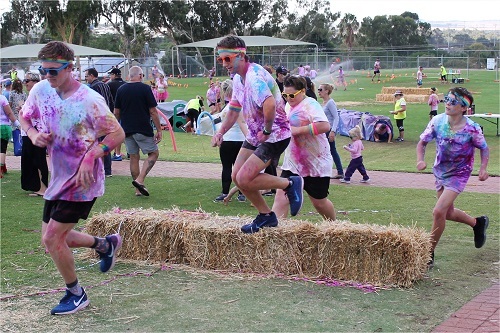 Thank you, too, to the many donors for the supply of bales of hay, equipment used at various stations, the Northam Volunteer Fire Brigade for keeping the water running for the slippery slide and one of the obstacle courses on the basketball court and your time! 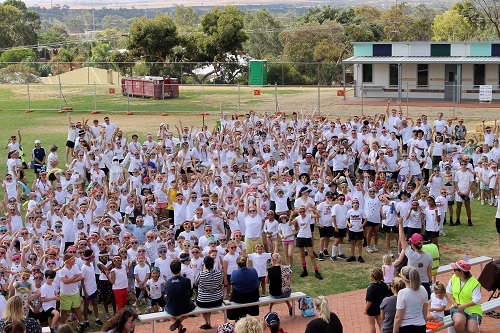 A wonderful, fantastic way of raising money and ensuring our children enjoyed each minute could only happen with the full support of so many people. Well done! We are pleased to announce that this year we were able to make up 75 prizes for the Easter Raffle. 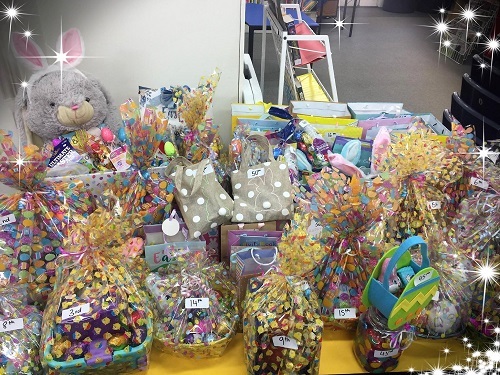 We were humbled with the donations of so many kinds of Easter items which meant we could provide the community with so many opportunities to win a prize! 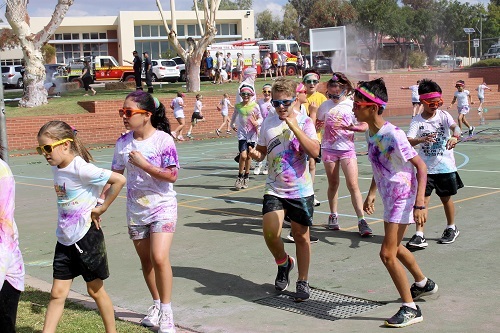 Primary winners received their prizes to take home with them on Thursday and the prizes for our Secondary winners were collected at the end of the Colour Run today. Sincere thanks to everyone who donated and/or purchased tickets in the raffle. Funds will be totalled and we will advise the total next term. Have a Holy and happy Easter and an enjoyable holiday break. The Northam Hockey Club advises that registration for the coming season is now available. Please register by heading to the Northam Hockey Club Facebook page. Season commences on Saturday 4 May. All games are to be on Saturday mornings. Keep an eye out for our official opening of the new artificial turf in July! Interested students wishing to play netball in a U/12 team this coming season are invited to contact Katie Leeder on 0417993178. 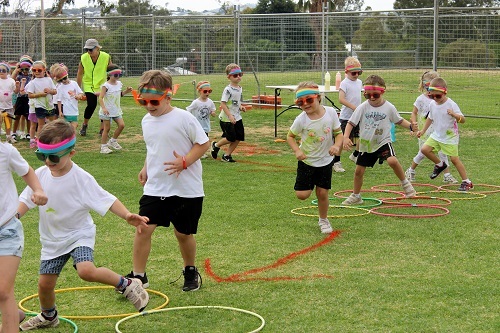 Players must be born between 2007-2008 and keen to participate in the Northam Netball Association Saturday competition. Players are to bring normal training gear [boots, joggers, mouthguard and water bottle]. 11.00am-12 noon [players to arrive by 10.45] There is no need to register, just turn up! Players are to bring normal training gear [boots, joggers, mouthguard and water bottle]. Please note: no jewellery is to be worn. The Uniform Shop will be open for families on Friday 26 April from 9.00am to 12 noon. The Shop will be open at the usual times from Monday 29 April. For those families new to the school in 2019, the Uniform Shop will be open by appointment on Friday 26 April between 1.00pm to 3.30pm. Please note that these appointments are for new families and a booking must be made. 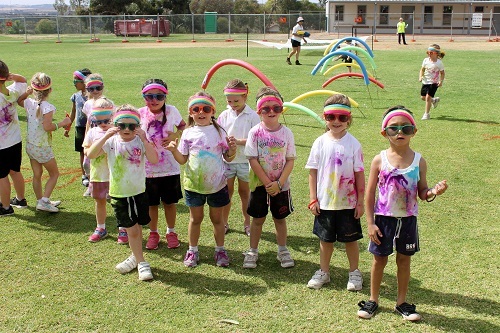 Please contact the Primary Admin Office on 9621 3500 to take advantage of this opportunity. I wish to thank all our families who have volunteered their assistance in the Canteen this Term. Without your generous support, we would not be able to provide a service to our School. The 2019 Winter Menu will be available on the website and in each Primary classroom at the commencement of Term 2.